Does it seem like Google makes drastic changes to its algorithms every time you start to see solid results from your search engine optimization (SEO) strategy? You’re not alone! SEO is a fast-changing art and science. The kind of business you run affects your SEO strategy, but so does the way Google processes information and produces its search engine results pages (SERPs). The company – like Bing, Yahoo, and other search engines – is constantly tweaking things. So how can you keep up? One way, of course, is to hire SEO experts like the team here at Vizion to do it for you. But if you’re not ready to do that just yet, or you enjoy doing it yourself, here’s a list of five SEO tools we use to stay ahead of the curve for our clients. 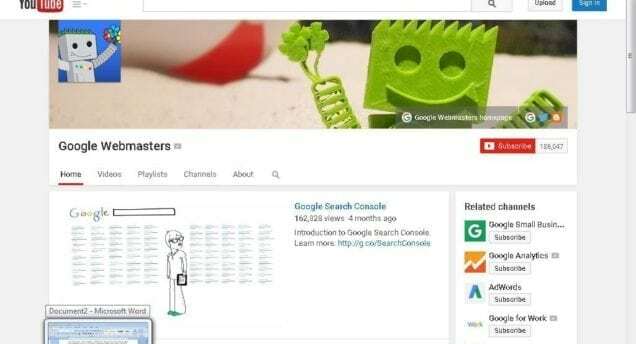 The Google Webmaster YouTube Channel features a weekly Q&A with Google Webmaster Trends Analyst John Mueller. Mueller spends an hour answering questions from marketers, developers and SEO enthusiasts around the world. The questions range from beginner to extremely technical. The channel is well organized, with all of the past Q&A sessions. It’s a great way to stay up to date with Google’s changes. The home page, pictured above, shows the most popular videos. The Videos Tab has the weekly Q&A sessions in chronological order, the Playlists Tab videos into playlists by topic, and the About Tab links to other Google video help sites and resources. To search for a specific topic in one of Mueller’s Q&A’s, enter the search phrase Google Algorithm updates John Mueller into the YouTube search window. That will pull up videos in which he talks about recent changes to the way Google organizes searches. (It will also pull up third-party videos that also discuss the changes, of course). 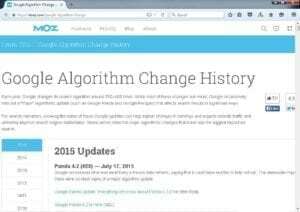 Moz’s Google Algorithm Change History is the most detailed third-party record of all of the major Google changes over the past 15 years. MOZ is the first place to go if you experience a sudden spike or drop in traffic, because it will show you whether or not that change occurred during the time of a major algorithm change. In 2012 press release distribution sites like MyPRGenie and PRWeb lost millions of daily visitors overnight when Google began penalizing sizes that overused hyperlinks in content. It took months for most of them to recover, as they educated their customers about changing to “No Follow” links in press releases. This was a huge change, since many companies had successfully based their SEO strategy around linking to additional content, with little thought to the actual value of the links. MOZ was the first site to explain that Google had begun to penalize companies that padded their content with “inappropriate” links, as Google itself didn’t issue a public statement until several days after the change was made. This is common, because Google constantly tweaks its search algorithms, and most changes are not publically announced. Bookmark the site if you need to keep up with Google’s changes. The site also contains links to MOZ’s products for SEO professionals, and an excellent tutorial section called Learn SEO for small business owners or anyone new to search engine optimization and search marketing. Google treats local search – that is searches conducted from a device whose location is known to be within a specific area for goods or services also located in that area – differently from searches that the search engine’s algorithms consider to be based on something other than geography. That’s why if someone in Chicago searches for a restaurant called Joe’s Pizza, they’ll get information on the restaurant located just off Highway 90 on West Higgins – while if someone in Atlanta performs the same search, they may be referred to Brooklyn Joe’s in Alpharetta, or Joe’s Pizza and Pasta near downtown Atlanta. If you manage a brick-and-mortar business of any kind (service or retail), where location is important, then understanding how Google’s local search algorithms work are vital. Mike Blumenthal’s Local SEO blog is one of the best resources available to keep up with local SEO changes. Every time there is a major change to local search, Blumenthal provides clear, easy to understand information on how these changes can affect your business along with step-by-step tips on how to maximize the opportunity – or minimize the damage – caused by the changes. Blumenthal’s blog is written in non-technical language that a business owner who is new to SEO can follow, and he often links to other resources for information, tools that help to implement SEO strategies, and tutorials or videos on maximizing local SEO results. Search engine optimization is not a “set it and forget it” process. Keeping a close eye on your organic traffic, and understanding where your leads, sales, and traffic is coming from is essential to making search marketing work for you. It’s also a basic part of staying up to date with SEO changes, since not every change will affect you. Google Analytics is where to start understanding and managing the process of driving business through your website. 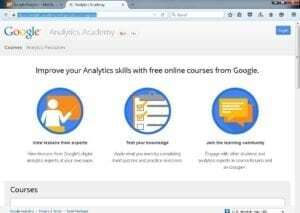 The first stop is the Analytics Academy, the free online tutorial site where beginners can learn the basics of setting up Google Analytics for each page of a website, reading the charts and graphs that Google Analytics (often called simply “GA” by SEO pros) provides, and using the information the tool provides to make changes to your site to improve traffic. most valuable (but underused) features in Google Analytics is the Tag Manager tool. 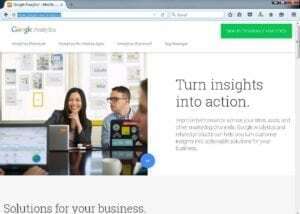 Tag Manager is the tool Google provides for businesses that do not code their own websites to update, change, and monitor results without waiting months for site code updates. It gives you better control over all digital marketing programs. It doesn’t matter whether you call them Google Webmaster Tools, or the Google Search Console. What matters is that you stop whatever you’re doing and install this vital tool on your website right now. It’s free, and it’s the way that the search engine giant has chosen to keep individual site owners up to date on t heir presence within Google. If you don’t have the Google Search Console on your website, you might not know that the search engine is blocking access to your site for a specific, easy to fix reason.